It was not like any other sample box I have received. This two-bottle sample pack showed up in a container that could have easily fit a full case of wine with room to spare. Puzzled, I broke into the box to discover the wine inside was surrounded on all sides by multiple inches of insulated styrofoam, like I was being shipped radioactive isotopes instead of a European red and white. The bottles in the centre of the box were encased in even more styrofoam, and sitting in between them was a liqui-gel cryopack, like the kind you would use to keep your camping cooler cold. After a multi-day, interprovincial Canada Post voyage, the icepack was still completely frozen. And the wine? Precisely at cellar temperature fresh off the delivery truck, a constant, perfect 13 degrees Celsius. As it turns out, Cellar Direct doesn’t just ship their wines out in a way that ensures temperature stability; it also imports them in from producers in a rigidly temperature-controlled manner too. They officially had my attention. So who are they? Cellar Direct is a brand new nationwide wine club launching this month and operating out of Alberta that specializes in artisanal, naturally made wines from family-run wineries that are hand-picked by co-founder Ron van Schilt and imported through an affiliated agency. Its webpage (cellardirect.ca, which appears to share a [very stylish] design template with my law firm’s site) places significant emphasis on its focus on “natural wines” but thankfully describes them somewhat more broadly than the most dogmatic usages of the term, which forbid the addition of ANY external elements whatsoever to the wine, including decay-saving, oxygen-fighting sulfur dioxide. Cellar Direct’s take on natural wine expressly allows the use of sulfur but refers to wines that are hand-grown and hand-picked, usually organic and biodynamic, fermented with natural yeasts, non-manipulated, non-technologically enhanced and often unfiltered. The club currently works with a tight group of 25 or so like-minded producers, with more to come in the near future. The borderline-unbelievable vine-to-door non-stop temperature certainty and the exclusive affiliation with all-natural wines and wineries are Cellar Direct’s two points of differentiation, both their corporate mission statement and their way to stand out in the retail crowd. Of course, both of these choices are expensive ones: you will not be surprised to learn that it costs more to grow and make proper wines organically by hand than to pesticide the crap out of your vineyard and fix any imperfections after the fact with additives, and shipping in a manner that prevents temperature spikes can be logistically and financially tricky. This means that the CD target audience is one that doesn’t mind paying for the guaranteed assurance of both quality and provenance, month in and month out. Do the wines live up to that kind of suggested pedigree? 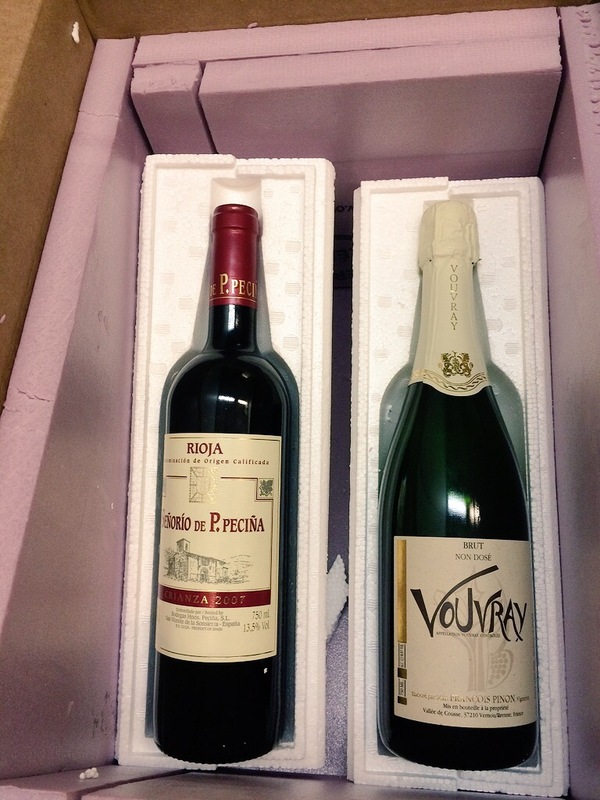 Thankfully, yes: both bottles I got to try delivered the new club’s raison d’être in spades. My thoughts on each are below. Francois Pinon’s family has made wine in Vouvray, a prime region nestled in central France’s eastern Loire Valley and the spiritual home of the Chenin Blanc grape, for over 200 years. His winemaking methods are traditional to the point of being on trend again: fully organic vineyards interspersed with cover crops, tightly controlled yields, hand-picking, and the use of native yeasts only during fermentation. His wines are sufficiently replete with acid (a hallmark of Chenin) that he generally avoids much use of sulfur as a preservative. This is Pinon’s zero-dosage sparkling Chenin Blanc made the same laborious way as Champagne, the methode traditionelle, where the wine’s bubbles are created by inducing a second fermentation within the very same bottle that is later sold to consumers. At the end of this process, most Champagne and similar sparklers are topped up with a touch of sweetened still wine, with the amount used determining the final sweetness of the overall bottle; here, “non dosé” means that none of this final sweetener was added, leaving the final wine bone dry. You can’t help but be drawn to the beautiful brilliant golden colour of this wine, and you can smell it from a mile away. The Pinon Vouvray Brut is exceptionally aromatic, the expected yeasty notes almost swallowed up by an intriguing blend of dried paper, honey, lemon zest and baked golden apple fruit, graham crackers and Chenin’s classic wet wool/lanolin sheepiness, which almost manifested in a goat cheese-style tang here. The lack of any dosage is immediately apparent as soon as you take a sip, and the wine’s dryness is further amplified on the taut, crispy, parchment-like finish that almost makes your cheeks pucker. In between, the bubbles’ foamy persistence softens and shapes an almost industrial array of flavours: rubber and burnt diesel, like an old mechanic’s shop, beeswax, white pepper and elastic bands, all laced with a salty minerality. The fruit is minimized on the palate, but if pressed I’d pick out touches of lemon drop, grilled pear and…currant? It’s wild: secondary and tertiary notes galore. 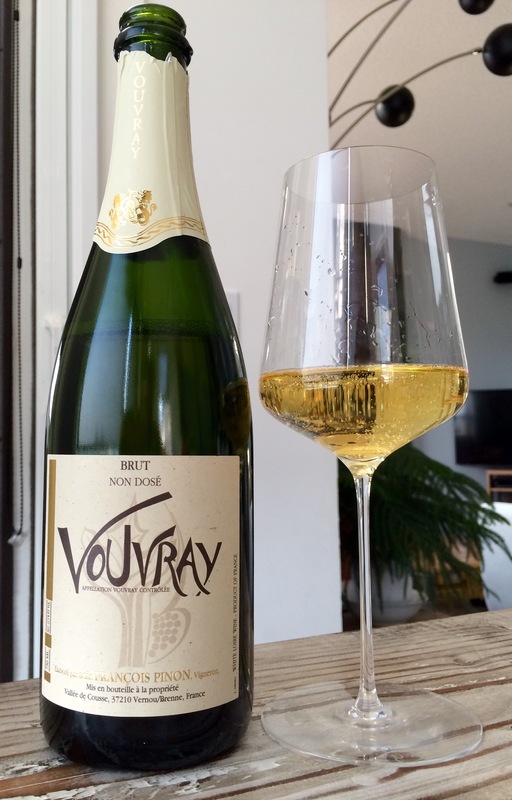 The calling card of the wine for me was its simply raging acidity that’s knife-edge balanced and made to seem less potent than it is by the Vouvray’s weighty yet frothy, elegant texture. Chenin Blanc adds some extra fun and complexity of flavour that you don’t get to experience in Champagne and lends itself perfectly to a sparkling presentation. I will make it a point to look for sparkling Vouvray again. Great wine. 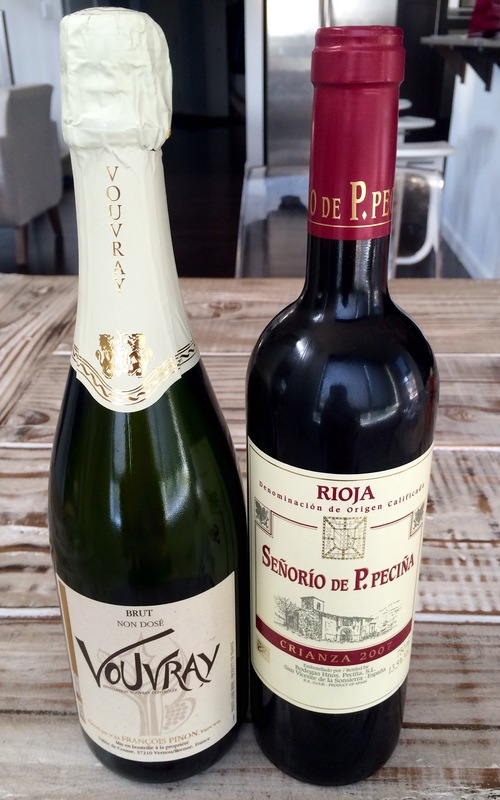 The Pecina family focuses on traditionally styled wines from Spain’s famed Rioja region and is known for making some of the most old-school wines in the area, which makes it an interesting contrast to learn that they’ve only been around since 1992. Similar to Pinon above, the Pecinas’ organic vineyards are worked only by hand and the winery looks to native yeasts only to make their wines, some of which (like this one) feature carbonic maceration, an alternative fermentation method in which the fermentation process starts inside each individual grape before they have been crushed thanks to a carbon dioxide-rich environment. Like true traditional Riojans, Pecina gives its wines plenty of time before release to the public: this Crianza (an aging designation reflective of relatively minimal aging) is actually aged beyond minimum Riserva levels (the next aging designation up), spending 24 months in seasoned American oak barrels and then another 18 months in bottle before hitting the market. 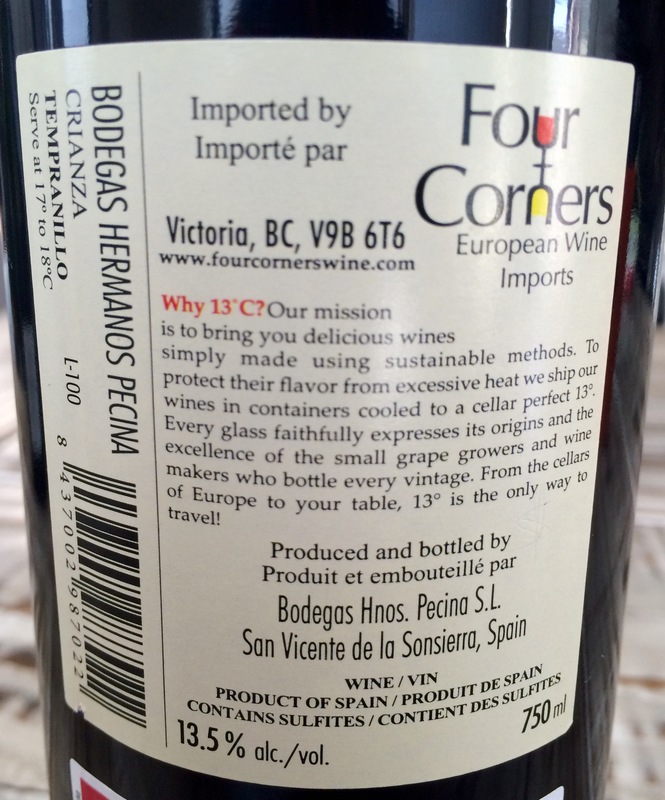 It’s almost entirely Tempranillo (95%), with finishing touches of Graciano (3%) and Garnacha (2%). I actually caught a break getting the 2007, which will shortly be exhausted and replaced with the current-vintage 2010 – I love a bit of bottle age on my Riojas. However, you certainly couldn’t tell this one was 8 years old: it was a way deeper, thicker colour than I expected, fully opaque at the core and deep ruby throughout. It also featured much more primary fruit on the nose than was common for a traditional Rioja (possibly thanks to the carbonic maceration, which tends to emphasize bright fruit), but the aromas were gorgeous: spicy, pure cherry and raspberry swirled in with tobacco, salumi, wood smoke, charcoal and roses. If I had to summarize the smell in four words, they would be “Dr. Pepper on fire”. 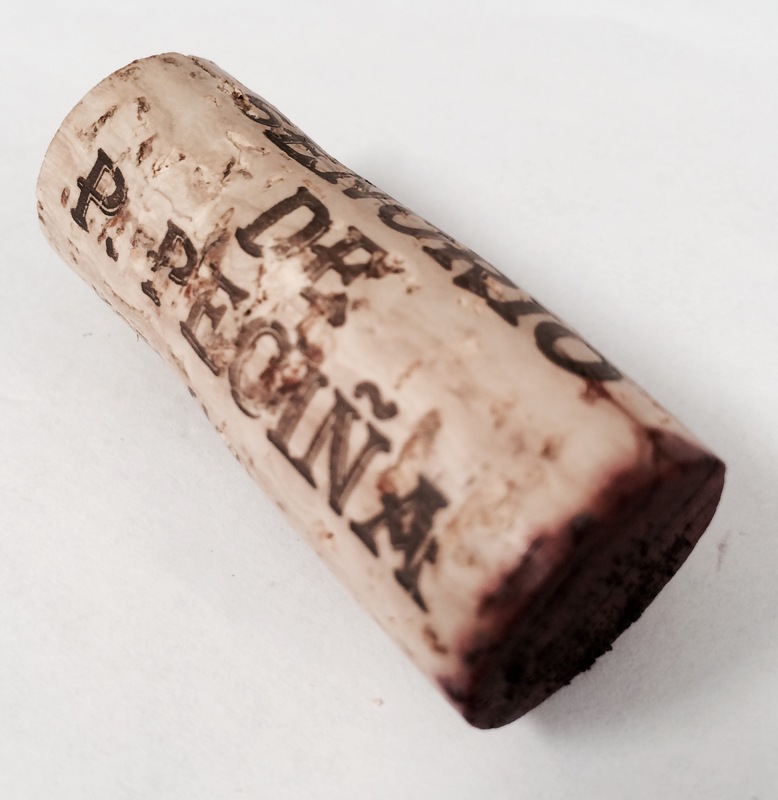 The Pecina Crianza came across like a modern/traditional hybrid on the palate. It had the languidity and mellowness that I adore in old-style Rioja, that sense that it’s not in a hurry to get anywhere and that you should slow down too, but it also had a pulsing heart of dark fruit and grippy tannin that could be at home in the New World. Blacker and sweeter fruit, anise, hickory and black jellybeans spread out across the tongue, but the smoke and meatiness remained, along with finishing touches of cola and baker’s chocolate and some flat-out incredible juiciness for a traditional region. This is the perfect intro to Rioja for those Silver Oak-schooled Cali lovers; I don’t know if I would call it “traditional” Rioja, but I also don’t know that I care that much about those kinds of labels. It’s dynamite. The bottles offered through the Cellar Direct club will come in at varying individual price points, but every shipment of four wines you receive will have roughly the same collective retail value (usually right around $135). 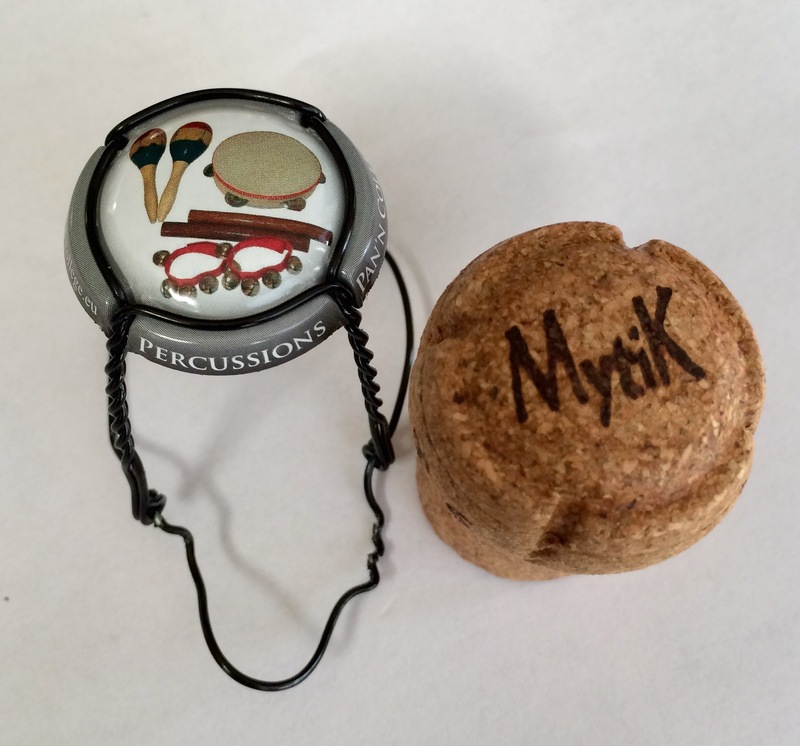 The additional amount you pay as part of your CD monthly dues covers the exclusive access you get to these kinds of limited wines as well as their fully heat- and cold-sheltered transport to your doorstep. If that sounds like a worthy bargain to you, you can visit cellardirect.ca to sign up to the club. The economic decision is yours, but all I can tell you is that the wines do their part.